Our adoption donation fee is $60.00 for cats and kittens which includes first vaccines, spay/neuter and a one year rabies vaccine. When we have dogs and puppies, the adoption donation fee will be $75.00 which includes first vaccines, spay/neuter and a one year rabies vaccine. Please understand that this contribution does not cover the total cost of the services rendered. 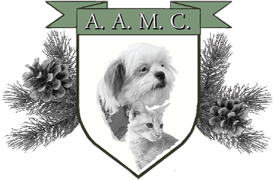 AAMC believes it is important to spay/neuter animals and does not want money to be a deterrent to this critical service. Please consider any additional contribution you deem appropriate. Support from Moore County Unrestricted Endowment Fund, a compound fund of the North Carolina Community Foundation.